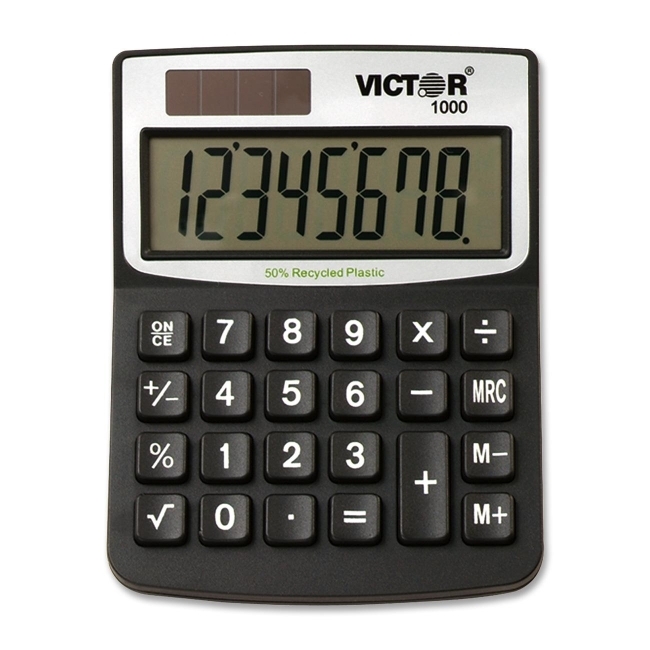 8-Digit Mini Desktop Calculator is made of 50 percent recycled plastic. Extra-large angled LCD has full 18mm display digits. Functions include addition, subtraction, multiplication, constant multiplication, division, percentage, percentage add-on, discount calculations and three-key independent memory. 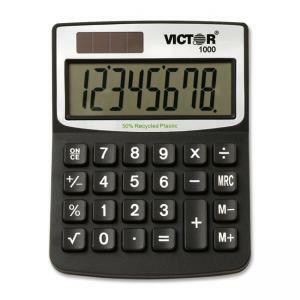 Calculator has soft plastic keys and runs on solar power with battery backup.